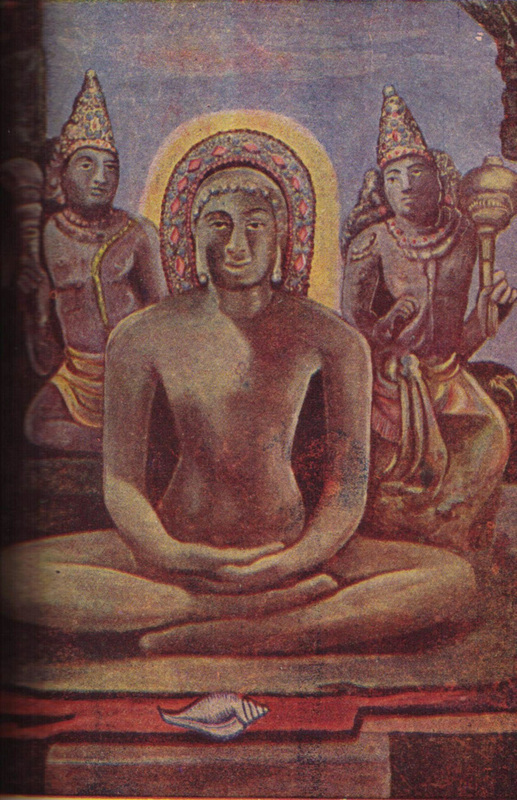 Shraman Neminath spent fifty four days in deep spiritual practices and then went to Girnar Hill. On the fifteenth day of the dark half of the month of Ashvin, in the afternoon, under the bamboo tree Neminath attained omniscience and became twenty second Tirthankar. After that, he delivered his first divine sermon. 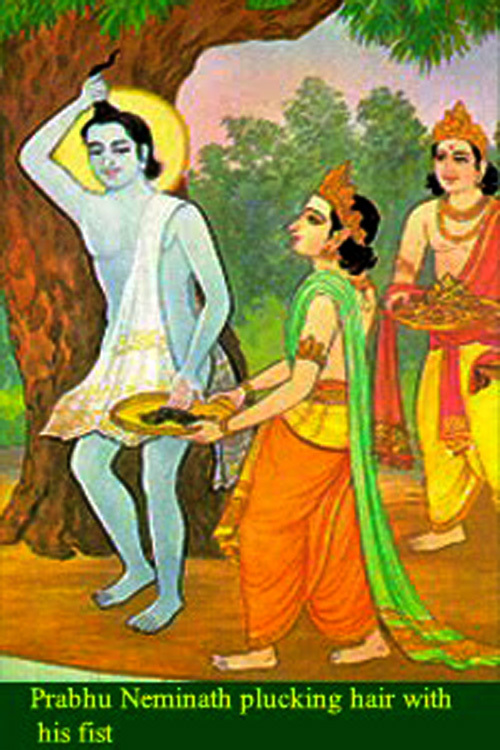 Rajimati also came to attend the Samosaran of Lord Neminath and along with her friends she attained renunciation and got liberated in the end.Lord Neminath preached Jain doctrine for very long time and wandered in many parts of India along with thousands of ascetics as an Omniscient saint. On the eighth day of the bright half of the month of Ashadh, Tirthankar Neminath destroyed all the Karmas attached with his soul and got liberated at the top of Mount Girnar in th present state of Gujarat, India. According to Saraogi family, Rajmati also adopted Jain Dharma & became Sadhvi and called Rajul de, she later shifted to Fatehpur Shekhawati in Rajasthan, where her temple exists and all Saraogi's are devotee to her as their Kul Devi. Can you give more Idea about Rajmati, say Rajul de. I know the temple of rajul de in fatehpur,near bus stand,behind poddar hospital. lord neminath's statue is in siththannavasal, pudukkottai. pl.write about the details if available. Animals for feast? Was Arishtnemi born into a non-vegetarian family? we have believe that Neminath he was born in non vegetarian family. I do not think girl side of family would offer food which is boy side of family do not eat!! that would be an insult to them. right? In those times many kings were non-vegetarians. 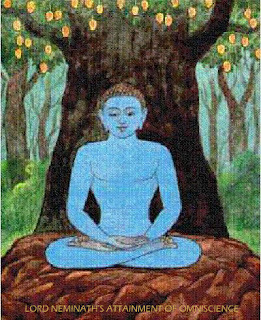 But as long as I know every Tirthankar's parents practice strict vegetarianism and they follow Jainism (preached by the previous Tirthankar). And also every Tirthankar is clairvoyant since the time of their birth. They do not eat root vegetables and also do not eat at night during their life as a prince. Thirtankars are to be born in kings family and they are not vegetarian since birth. Complete wrong belief... tirthankars are never born in such families where there is no jayna ( ahimsa) the story is... the wedding procession was so huge and long that the cattle who wee on the way to home got stuck in between the procession and started yelling 'coz of thirst and fear of dark, seeing this neminath got vairagya and he left the place .